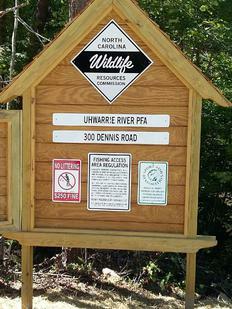 The Uwharrie River flows south from Asheboro through the Uwharrie Mountains into Lake Tillery, near Albemarle. With long pools of flat water and occasional class one & two white water, it is a good river for the beginner paddler. 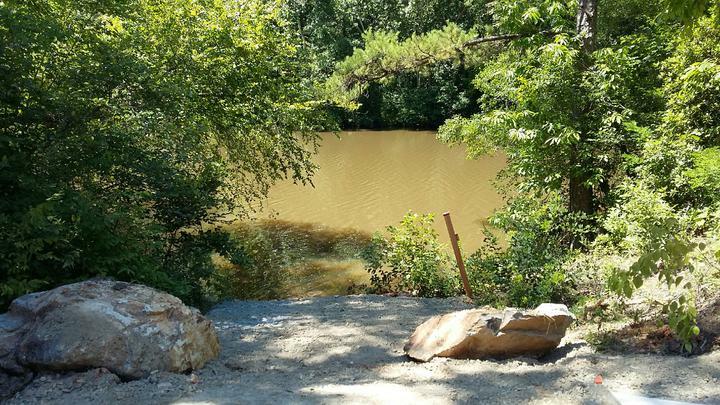 The Uwharrie is known for being one of the most scenic rivers in the Piedmont, with an abundance of wildlife. On any given day some of the wildlife you may see are otters, osprey, great blue herons, wood ducks, white tail deer and wild turkey. that is native to North America. You now have three options when paddling the river. at the Hwy. 109 Bridge. This paddle is approximately 7.5 miles long and the average paddle time is 4 hours. will start at the 109 bridge and end at the Dennis road access area. This paddle is approximately 6.5 miles long and the average paddle time is 4 hours. paddle time is 7 to 9 hours. is very dependent on rainfall. 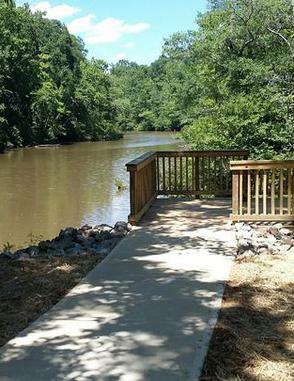 Now you can spend a full day on the river!